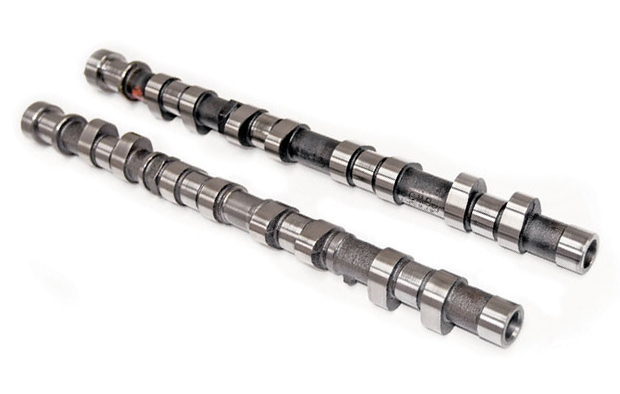 Kelford Cams new range of Mid and High lift camshafts for Nissan RB26 engines, single or twin turbo, the mid lift designs are perfect for street and racing, the high lift designs are more agressive and are used in serious racing applications. Nissan RB26DETT 264 degree street performance camshafts, no cylinder head clearancing needed. KCG26: Kelford Racing, adjustable cam gears to suit Nissan RB20, RB25 & RB26 engines. KVS15: Kelford Racing, Nissan RB26DETT racing valve spring set.